Do you find yourself at the receiving end of pointless interrogations? Does your partner have a habit of checking your phone? Do you have to explain your whereabouts time and again? If the answer to all of this is yes, then chances are that you are stuck with a possessive partner. Everyone yearns to be loved, protected and cared for in relationships but sometimes these perfectly healthy traits tend to reach a level when they can be rather sickening. Understanding why someone behaves a certain way helps in dealing with the person better. Think about it – what makes your partner so possessive and overbearing? Does it have to do with his past relationships, a difficult childhood or just a very poor sense of self-worth? Talk to him about his insecurities and fears and understand the root cause. While it is a difficult conversation to have, delaying it will only make matters worse. Being the more stable and secure partner, you need to help him/her to get over those insecurities and make them understand that there is nothing to worry about – only then will you be able to enjoy a healthy relationship. We don’t realize how a simple hug, saying “I love you” or a compliment can do wonders to our relationship – especially when you are dealing with an insecure partner. If you love your partner, do not shy away from expressing your love, verbally and physically. Give your partner that much-needed reassurance and let him/her understand that you truly are committed to the relationship just the way they are. You never know, being expressive might just help them get over their fears and make them start believing more in the relationship. Next time you are heading out with your set of friends, ask your partner to come along too. Involve him/her in your plans and let them see what your world looks like. The more you involve them, the more secure your partner will feel in the relationship. If your boyfriend has an issue with your male friends, make him meet them. Let him see for himself that you share a purely platonic relationship with them and nothing else. However, it is best to keep exes out of these gatherings because that never really goes down well. We spoke about expressing your love but it also very essential to express your discomfort when your partner gets too overbearing. Your partner needs to be made aware of the impact his/her controlling nature has on you and the relationship. Tell him/her why you don’t approve of them checking your phone, calling the shots on your outfit or doubting you every time you meet friends. Don’t expect yourself to take the burden of their insecurities because, in your attempt to be the more mature one, the last thing you want is to take it all in and have it affect your mental health. 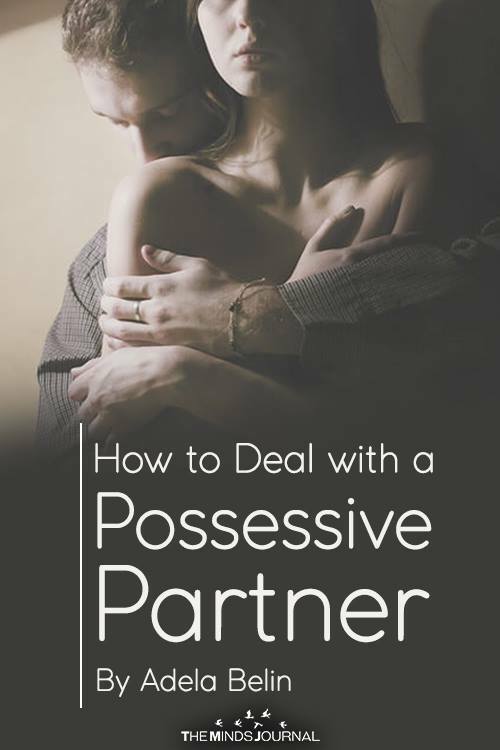 Dealing with a possessive partner can get tough. In the process of trying hard to be mindful of your actions, it is natural to get irritable at times. However, if your partner snaps at you, try not to respond angrily. Such altercations only tend to aggravate matters. The best way to deal with is to remain calm and let the moment pass. Bring the topic up when your partner has cooled down – he/she will be in a better state to understand and absorb what you have to say. There is a difference between being loved and being controlled – do not let your possessive partner let you believe otherwise. At the end of the day, everyone has a threshold and if you feel you have tried your best to make him feel secure and yet you don’t see any change in his behavior, then it is best to take a step back from the relationship. It takes two to make a relationship work and if your partner is being unreasonable, you are better off staying away. Adela Belin is a private educator and a writer at &amp;lt;a href=&amp;quot;https://writersperhour.com/&amp;quot;&amp;gt;Writers Per Hour&amp;lt;/a&amp;gt;. She shares her teaching experience with colleagues, students, and writers.